Nestled in the backcountry of southern North Carolina, rests the gem of a natural beauty that is South Mountain State Park. 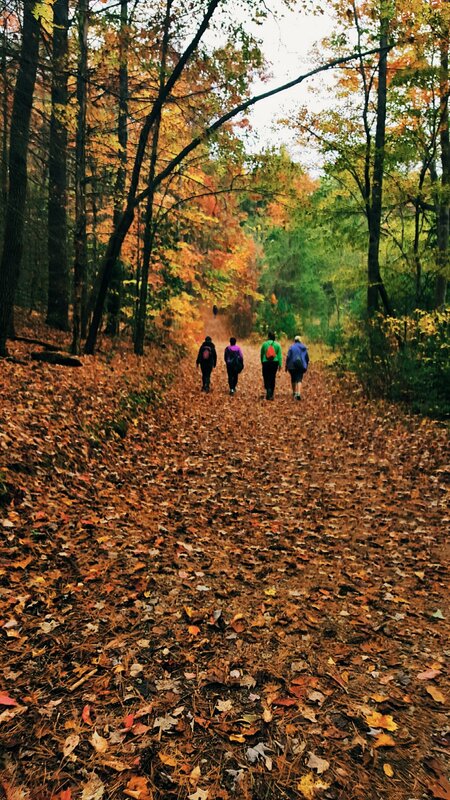 Located 60 mins northwest of Charlotte in Connolly Springs, South Mountain boasts over 16,000 acres of scenic beauty, an 80-foot waterfall, and miles of hiking and biking trails. In October, I met up with a group of female hikers to check out the High Shoals waterfall. Autumn in the city was on a bit of a delay and with an upcoming trip in a few weeks, I didn't want to miss my chance to see the fall colors before the short window passed. 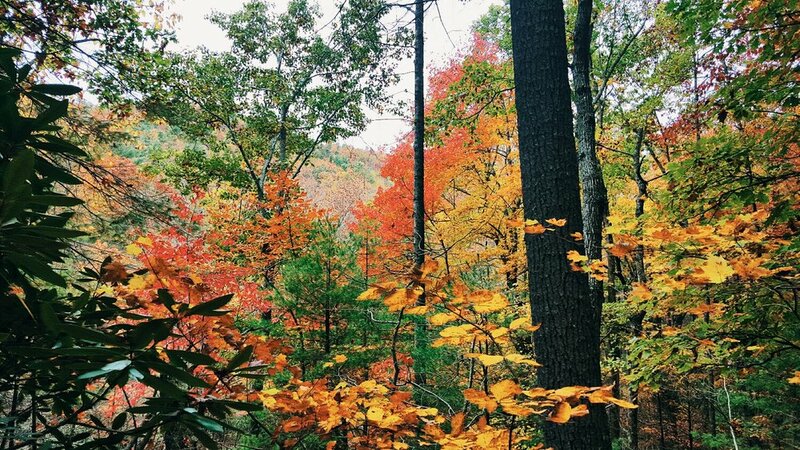 North Carolina is known to have some of the most breathtaking fall foliage and with no time to hop on the Blue Ridge Trail, a trip to the mountains was in order. Dressed in layers to combat the chilly, windy morning, with a backpack full of water and snacks, I was off to be one with nature for the first time since moving to the city. Although the walk to the High Shoals Falls is only a mile, it feels much longer. With every step, the mountain gets steeper and tests your resolve. As we climbed the trail, I wondered if should have devoted more time to my cardio. "When I get home," I told myself. Well, we'll see how that pans out. Halfway up the trail, we began to hear the babbling brook at the base of the waterfall. As we cross the bridge over the cool, clear water, I look up to find a never-ending staircase. Stairs? I was not aware we'd be climbing stairs! Suddenly all of those lunges I'd done in the gym to tone my bum were going to be the only reason my legs don't out. Steep is an understatement. Several people in the group ending up falling back to allow the rest of us to press on and hopefully not collapse. As we climbed higher and higher, I could feel the cool water from the falls misting my face. The morning started out brisk, but the warmth of the sun and the laborious exercise warmed me up. Thankfully, I wore layers. A quick jacket and around the waist and I was ready to keep moving. After the falls, we stopped to have a short picnic. I admired the view as I ate my sandwich and sipped a carpi-sun I brought in my pack. I watched as the breeze blew the leaves, forcing the colors to dance along the ground. Fall is my favorite time of year. My allergies are always in check and I get to enjoy time outdoors without pollen or the sun beat down on me. More importantly, fall signals change in a way the other warm months don't. Fall seems like the being of happiness. Shedding all of the beautiful, temporary trappings of nature and an end all of those things that didn't quite pan out earlier in the year.